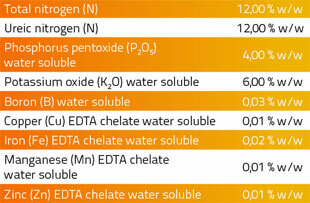 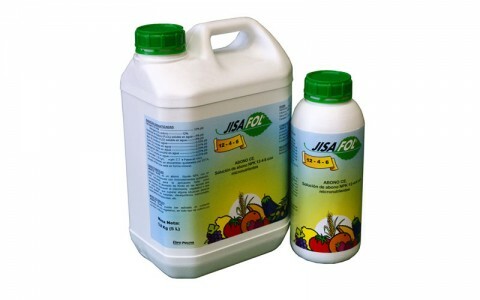 JISAFOL 12-4-6 is a liquid NPK fertiliser rich in nitrogen and enriched with chelated micro-nutrients. 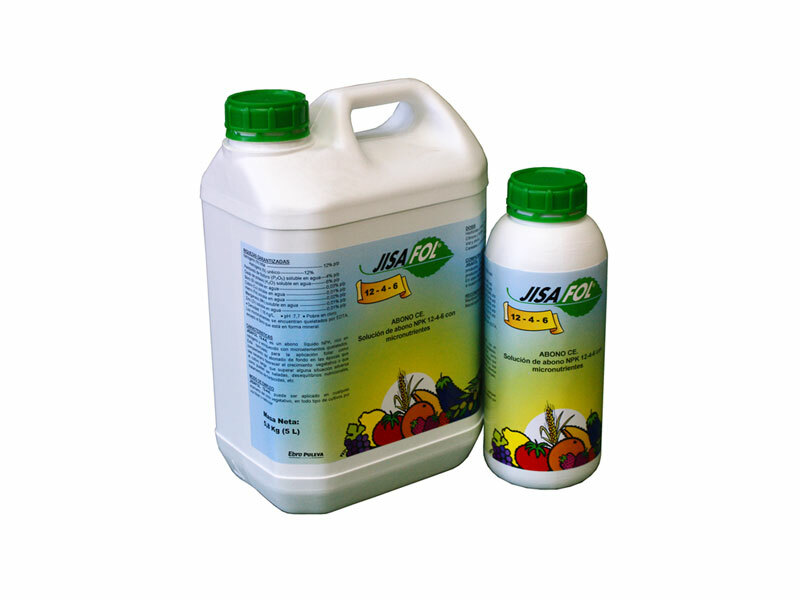 It is formulated for foliar application, as a complement of the ground fertilisers at the stages when it is necessary to promote the vegetative growth or when the crop has to overcome some adverse situations such as frost, nutritional imbalances, herbicide treatments, etc. 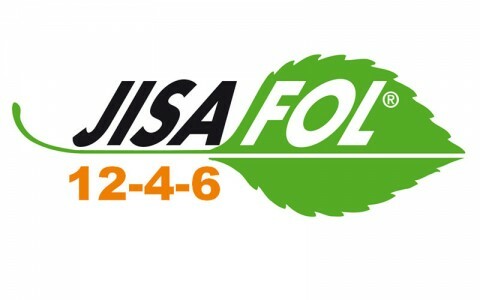 JISAFOL 12-4-6 can be applied during any of the vegetative cycles, in all kind of crops by foliar or root application. 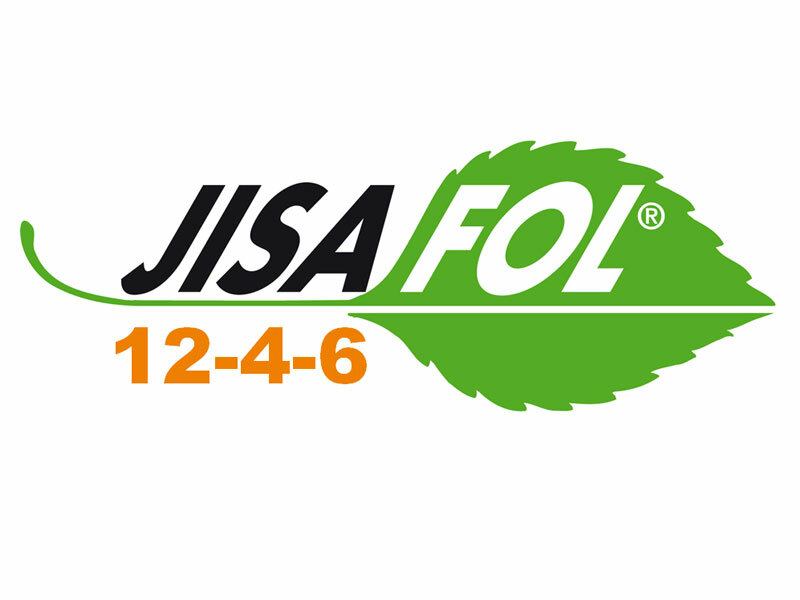 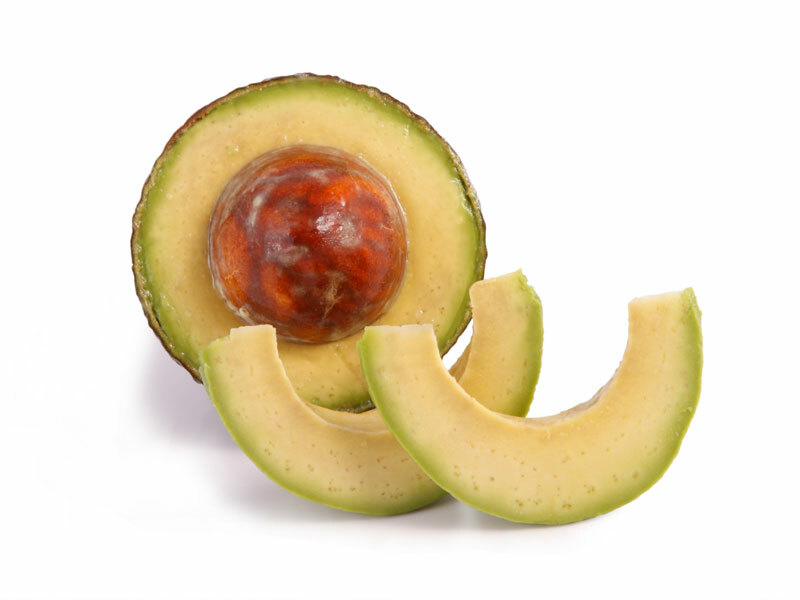 JISAFOL 12-4-6 is compatible with nearly all the phytosanitary products do not mix with oils, very alkaline products or which contains calcium. 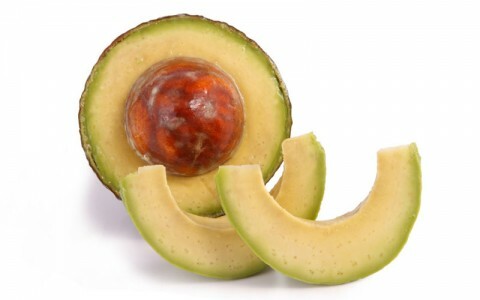 It is recommended to test beforehand.